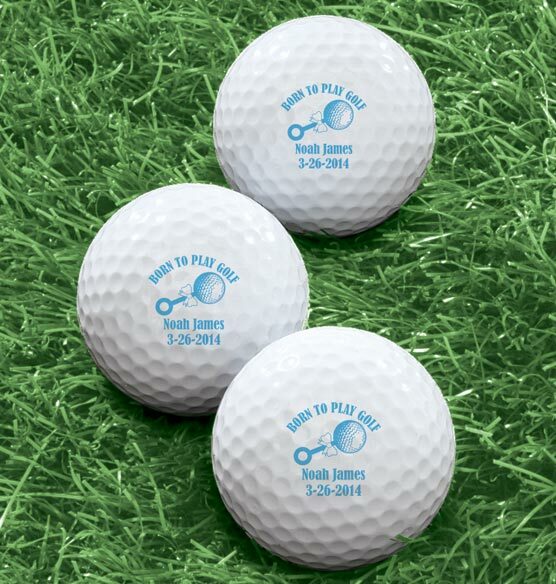 Made to celebrate your favorite little golfer-to-be, these quality, personalized born to play golf balls come printed with a special message under the phrase "Born to Play Golf." From the first tee to the back nine, these custom golf balls make a great gift to commemorate a future golfer being brought into the world. One message per pack of six solid core white balls. Message comes in baby blue or pink. Specify message; limit 2 lines, up to 12 characters each. Saw it online and wanted to order some personalized golf balls for my future grandson. Our dad really was born to golf. He loves to swing.